Audrey Saparno is a singer-songwriter born and raised in Ottawa, Canada. Her warm and powerful vocals, accompanied by her acoustic guitar, weave a soulful sound to her R&B style songs with a folk twist. Song writing has become a way for her to express her spirituality and her stories in a folksy sort of way. In 2014 her song “She Misunderstood” won the Folk Music Ontario, Songs From the Heart, song-writing competition, under the Multicultural sub-category. In 2016, she worked with James Stephens, Stove Studios, Chelsea, QC, to finish her debut CD, Beauty Inside, released last October. Hoping to unify people through universal themes, she shares her songs with the heart of whomever her songs can touch. A duo formed of an eloquent poet and a fine guitar player. 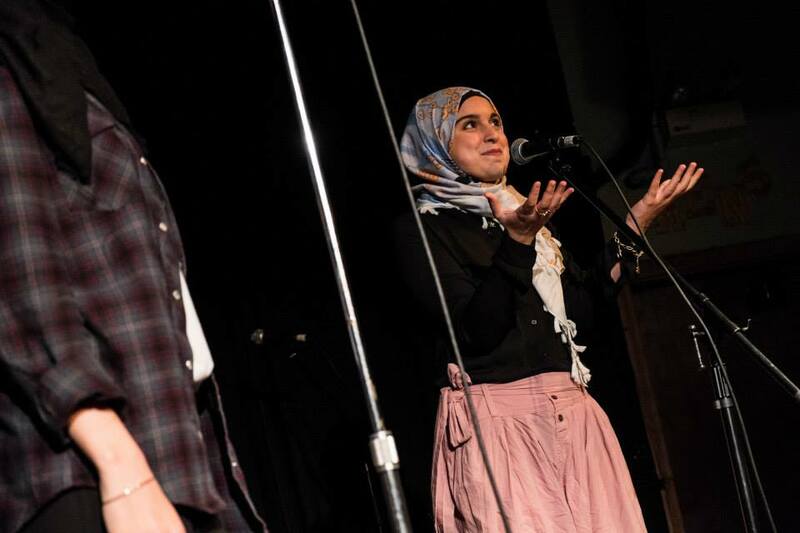 Maha was introduced to Spoken Word poetry in 2010, and immediately fell in love. Eventually, she began participating in different community events to express herself through poetry and story-telling. Recently, she has been learning to play the guitar and found that combining it with poetry feeds into the emotions being expressed. Poetry, music, and photography allow her to spread light in the darkest of places. She thanks the EMW team for allowing her this platform to continue doing what she loves. And she hopes that your souls may resonate with the sounds and words of peace. Peace to all! Singing is Nasreen’s passion. Recently, she has pursued her passion more seriously by learning further and taking classes. She has performed in Montreal, Ottawa, Toronto, Calgary, Edmonton, Saskatoon and in the USA. 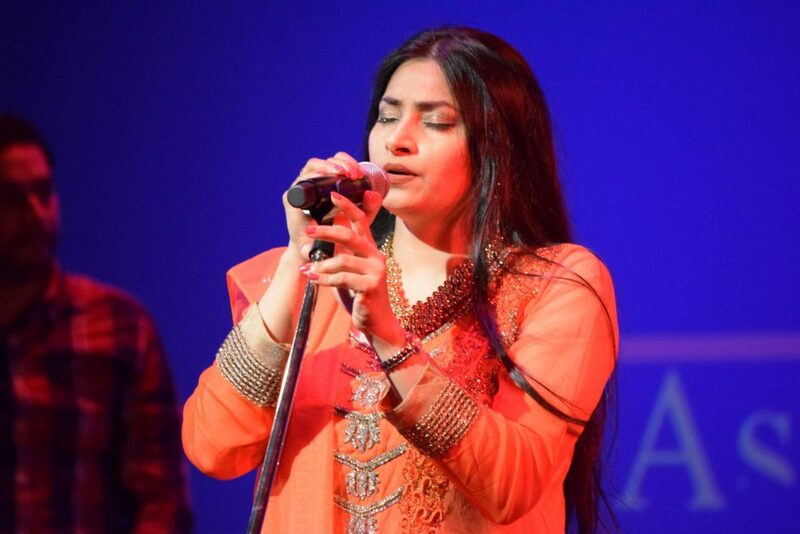 She performs in Hindi, Urdu, Punjabi and Bengali. She looks forward to more opportunities to sing and perform and share her passion with greater audiences. Hailing from Gaza, Ghadeer Abou-Shakra lived in Kuwait and Palestine before immigrating to Canada in 2005 to reunite with family. She is now a very proud Public Servant and owner of online business “HashtagMe T-shirts”. 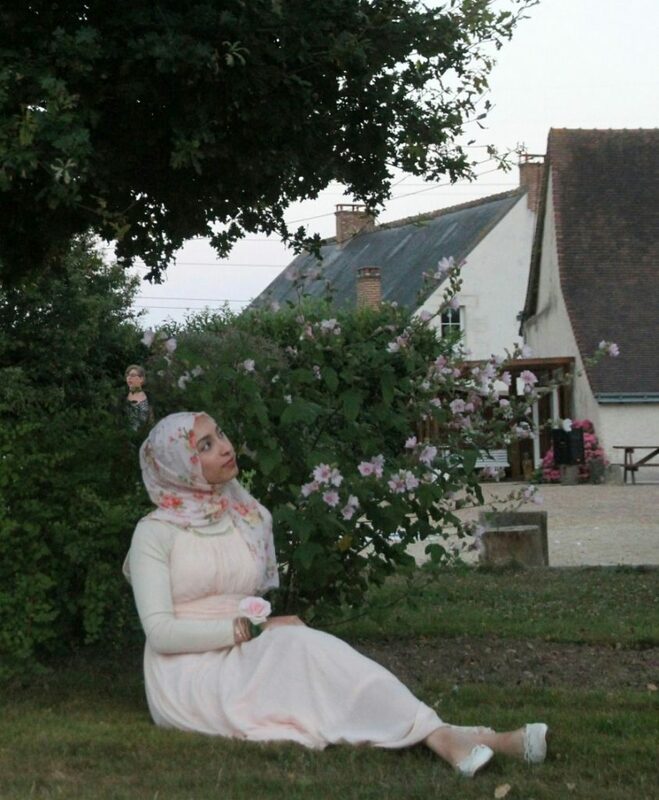 At an early age, Ghadeer found writing Arabic poetry as her way for self-expression. Throughout her school years, Ghadeer won competitions and played several instruments including drums, accordion and keyboard. Then she discovered her passion for playing the “Oud”, a traditional Arabian Lute and “Turkish Saz” string instrument. For Ghadeer, music is the ultimate way to inner peace, soul nurturing and spirituality. 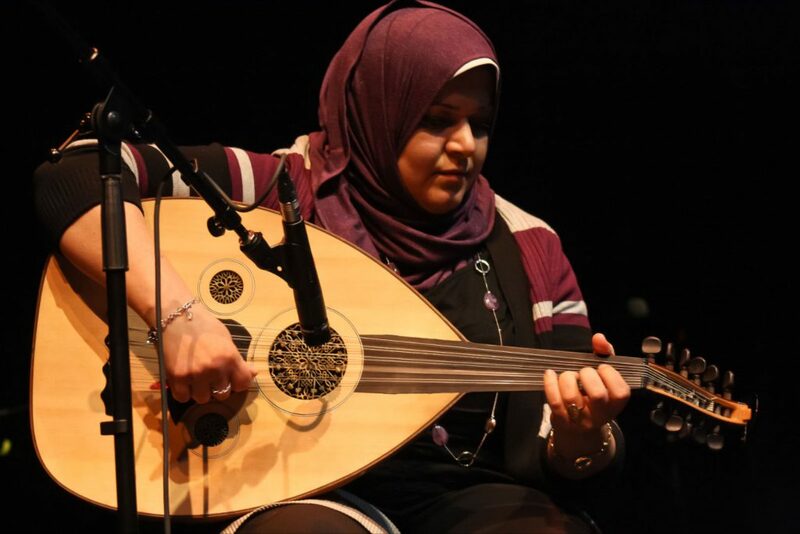 The oud allows Ghadeer to share her passion for music and culture as well as her passion for connecting with others. 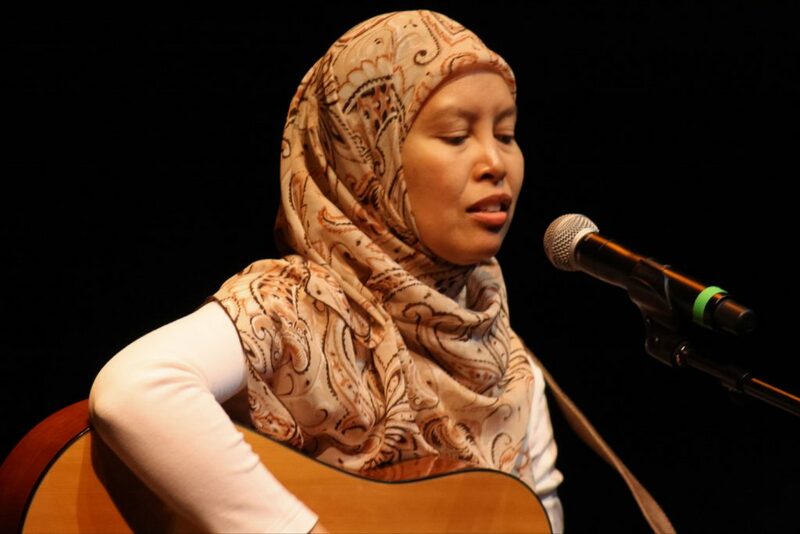 In 2012, Ghadeer wrote and composed a song entitled “Once Upon a Time – Kan Ya Makan”for an Ottawa Multifaith Housing Initiative event, and she performed the song with the artist, Audrey Saparno. Ghadeer has played at various events across the city of Ottawa, performing at churches and charitable and fundraising events, in the hope of inspiring others to follow their dreams. Ghadeer’s dream is to build bridges between cultures through her Middle Eastern music. 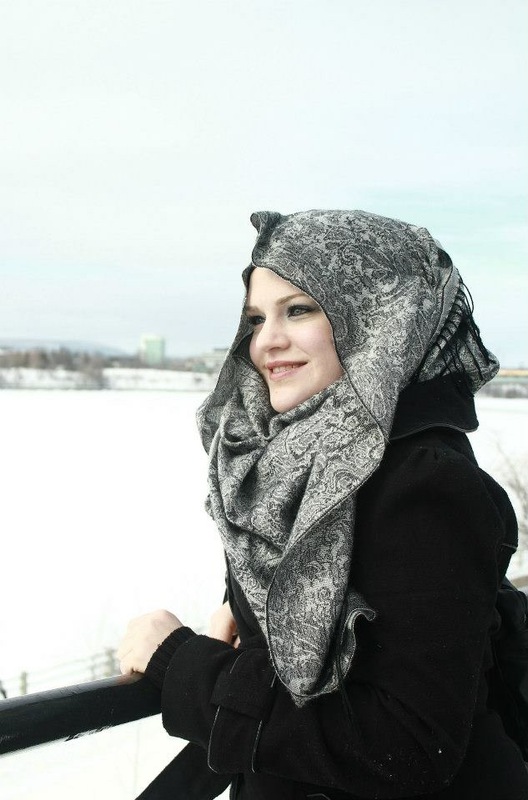 Stéphanie Roy is an Acadian Muslim convert now living in Gatineau/Ottawa. She has been writing songs for school and community talent shows since the age of 12, winning some modest prizes and honourable mentions along the way. Her works have focussed predominantly on speaking truth to power and elevating her and members of her communities’ voice.